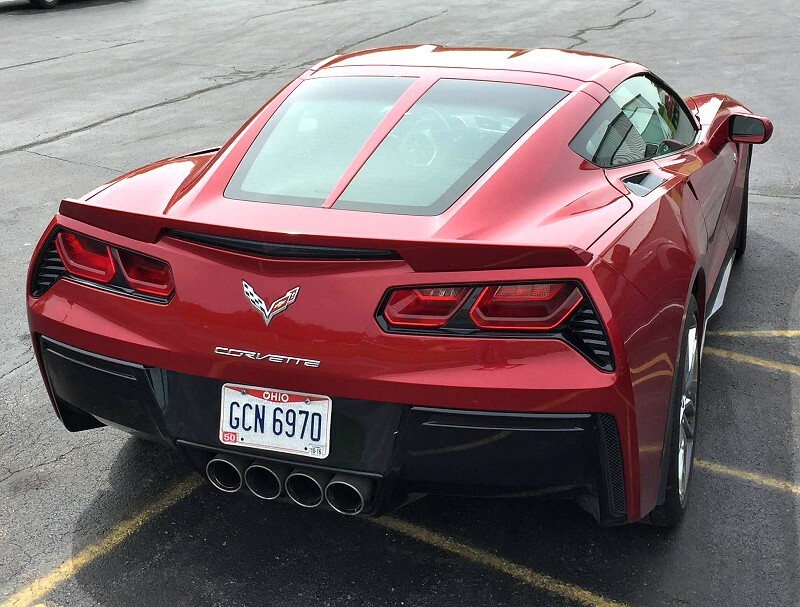 C8 Corvette Forum > 2018+ Chevy C8 Corvette Tech Section > Exterior and Interior > Split rear window? With all the safety tech that's being placed on modern cars, rear visibility shouldn't be as much of an issue as it was in the past. Hard to know if this is accurate as the hatches of the test mules have been completely covered. The C8 seems to follow design traits similar to the NSX and R8, they have a one-piece rear shields and look perfectly fine. Some things are better of left in another era instead of carried on to a challenging era for automakers. The rectangular design that we have seen doesn't look like what you would expect from a split window. But since nothing has been finalized the road going test mules may not be in production guise. I was actually hoping there would be some button for active aero because its what most supercars can benefit from these days. Found a custom C7 that had a split window placed. This is similar in style to what we could be seeing on the C8. Shouldn't result in a huge loss of visibility either. That couldn't look more weird and unlike the C8, the C7's proportions better suit a split window setup, yet it fails. That still looks like a single pane of glass that's just been divided with trim. This has been an accessory since the early days of the C6 and I never understood the point. If the Corvette was still some what round like the Jaguar F-Type then I can see this working out. It's impossible without messing up the C8's natural lines. It was just a poor attempt at throwback styling to pay homage to models past, but I agree it doesn't quite work. In a mid engine car, the rear glass panel won't be used for rear visibility anyways.